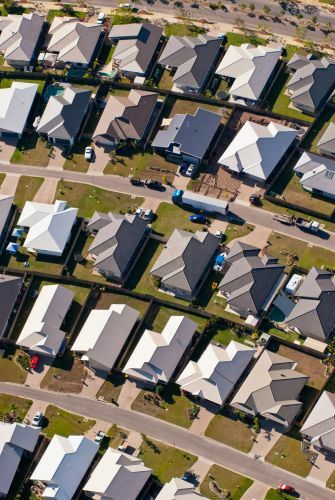 THE outlook is positive for Perth’s land and unit markets according to the latest Urban Development Institute of Australia (UDIA) National State of the Land report. The report reviewed greenfield land and multi-unit development. It found the number of lot sales across Perth fell 2.2 per cent in 2017, averaging 426 sales per month. While this number was lower than 2016 and 2015, UDIA WA president Nick Allingame said the rate of decline had slowed, stabilising from the massive 49 per cent drop experienced between 2014 and 2015. “The average price of new land in Perth is also down 1 per cent this year, but again, prices are performing much better than the significant falls experienced in previous years,” he said. The average price of land was $227,000 for the December quarter 2017. This was lower than the Perth 2016 average of $237,000, however average land prices rose in the north west corridor (up 3 per cent to $247,000) and the south west corridor (up marginally to $220,000). The north east region had the highest average land price at $249,000, 2 per cent lower than in 2016. Stock levels also declined 15 per cent on 2016 and were 9.2 per cent lower in the December quarter. Mr Allingame said lower stock levels meant supply and demand were starting to even out. “This is a good indicator that demand will pick up in the coming months,” he said. Lot sizes remained unchanged at 375sq m with Perth holding the title of smallest lot size in the country for the fourth consecutive year. Sydney was next smallest at 390sq m.
“This small lot size reflects the trend that started during boom times when developers started to produce smaller lots to address affordability issues,” Mr Allingame said. The multi-unit market in Perth followed a similar trajectory to the new land market, with completions falling 38 per cent between 2016 and 2017. According to the report, these falls were a result of lower levels of demand and the clearing of the oversupply of stock created during the resource industry construction ‘boom’. “The highest number of unit completions occurred in Lathlain, Burswood and Victoria Park,” Mr Allingame said. The median sale price of new units in 2017 was $400,000, 23 per cent lower than 2013, but 3.6 per cent lower than 2016. The highest median sales values were recorded in the central city and beachside locations, including Scarborough and City Beach, at $450,000. Outer suburban locations in the 20km-50km band recorded median values around $310,000. “Overall the report suggests further stabilisation of the greenfield and multi-unit development sectors throughout 2018,” Mr Allingame said. “This positive sentiment is due to easing of the unemployment rate, improved job creation and a slow pick up in population growth. “The state government has also been proactive with regard to progressing planning reform, the establishment of Infrastructure WA as well as introducing strata ritle reform that will all help boost the property market in WA.